The median home value in Warrensburg, MO is $167,500. This is higher than the county median home value of $149,600. The national median home value is $185,800. The average price of homes sold in Warrensburg, MO is $167,500. Approximately 38.36% of Warrensburg homes are owned, compared to 52.4% rented, while 9.24% are vacant. 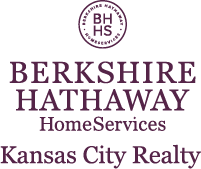 Warrensburg real estate listings include condos, townhomes, and single family homes for sale. Commercial properties are also available. If you see a property you’re interested in, contact a Warrensburg real estate agent to arrange a tour today! Learn more about Warrensburg Real Estate. WHY PAY RENT?! GREAT INVESTMENT OPPORTUNITY! This 2 bedroom, 1 bath home has a solid rental history and is perfectly situated within a stone's throw from UCM! The home has much desired OFF STREET PARKING, NEWLY built detached garage, updated electrical and new easy access plumbing! The home has a large mud/storage/laundry room, wood floors, tall ceilings AND did we mention how close it is to campus! LOCATION LOCATION LOCATION makes this charming bungalow and Must-See! Nice spacious split level home. Newer appliances, Nice floors, Big back yard fenced in. Big sized deck. Nice neighborhood. Updated spacious MOVE IN Ready 3 bedroom 2.5 bath home on cul-de-sac. Home has tons of storage, custom built closets & kitchen cabinets. Enjoy abundance of sunlight in each room after seller's professionally removed & trimmed trees. Living room & family room are large to fit large furniture. Family room is cozy with wood burning fireplace! All bedrooms are large & spacious with amazing custom built shelving in closets. Enjoy scenic backyard with visiting deer & rabbits! Close to schools, hospital and shopping. Be impressed by this charming ranch and all the space this property offers. Don't let the 2 BRs fool you. There is a large den and sunroom and either could be a 3rd or 4th BR. Enjoy the attached garage and the 2 Car Detached garage even more. ALL Newer Stainless Appliances stay including 5 burner gas stove. The electric FP insert will heat the living space. Don't forget the spacious deck on front and covered patio and fence out back. New concrete drive to detached garage. Hardwoods under carpet. Vinyl Siding. CUTE CUTE & Move In Ready. Open concept with NEW Paint, plenty of nice cabinets & BIG picture window for lots of natural light. Plenty of off street parking. Huge FENCED back yard has composite deck off the dining area along with covered concrete patio just outside laundry room. Handy storage shed perfect for all your yard tools, kids toys or whatever you want put away. Nice landscaping already done for you, just come enjoy your Spring flowers. You will want to see this one in person. Remarkable 4 Bedroom 3 full bathroom home w/ 3 car garage located in the desirable Cayhill subdivision. The open floor plan boast soaring ceilings, beautiful custom cabinets & granite countertops. Enjoy nights around the fire pit on the oversized patio overlooking the large fenced yard. The spa-like master suite offers a walk in closet, tray ceilings, double vanity, tile shower & jetted tub. Easy access to schools, shopping, entertainment & Whiteman AFB. Call today to schedule a showing. Beautiful well maintained three bedroom, three full bathroom home with a new roof. Large kitchen including appliances. Walk in a feel like you are home in this cozy living room which opens up to a dining area for great entertaining. Finished basement provides good space for media room or guests. Oversized two car garage, fenced back yard. UNDER CONSTRUCTION, CUSTOMIZABLE! Expected to be completed MID-AUGUST 2019! Rich Homes is building another spectacular Sawgrass plan in Cayhill Subdivision. It includes 4 Bedroom, 2.5 Bathroom, and an open floor plan is perfect for entertaining! All four bedrooms and laundry room are located upstairs. This property backs up to farm land, so get ready for gorgeous sunsets! Spacious 4 bedroom, 2 bath home on 2 lots (100'x150')!! Owner had new sheathing and shingles installed just 3 yrs ago. Lots of room for your enjoyment including a large foyer, a parlor, dining room, family room with fireplace, main floor laundry, partial basement, carport with storage, storage building and much more! Would make a comfortable personal residence or a great rental property at this convenient location! Charming 3 bd/1.5 bath house in a wonderful location! Garage has been converted into a bonus room for extra space! Lg living room, beautiful hard wood floors, combined kit/din space with plenty of cabinets, big back deck for entertaining, full wall of built in cabinets in "master bedroom", all on an extra large lot! Need a starter home, or looking to downsize, or maybe a place for your college student? Location is excellent, so this great home won't last long! Easy access to UCM, downtown or WAFB base! Come take a look at this beautiful 3 bed 2 bath ranch on a corner lot! It has beautiful dark hardwood floors, tall ceilings, stainless steel appliances, and a beautiful master bath with a jetted tub great for relaxation! This home is great for a family with children or fur babies with the park/dog park being so close! This property will not be on the market very long. This is a special house for either the investor or the owner occupant. The home features an open concept Kitchen to living room to the patio in the rear. This is a great place to relax by a fire or bar-b-que in the summer. The home has 3 generous sized bedrooms and 1.5 baths and a laundry area. The home also has an attached one car garage with access to the inside of the home. The home is clean and ready to move into. A must see. UPDATED PHOTOS-Newly Painted Exterior! MASSIVE Open-Concept Living / Kitchen Combo W. 16 Ft. Vaulted Ceilings! High End Cabinetry, Walk-In Pantry, And Double-Wide Refrigerate / Freezer Combo Frame the PERFECT Chef's Kitchen! Kitchen & Living Room Overlook a Wooded, Private Back Yard. All Bedrooms Over-Sized W/ Walk-in Closets. 1/2 Bath and Office on Main level, With 3 Bedrooms, Large Loft / Reading Area and Full Bath Upstairs. Downstairs Has TONS of Finishing Potential! Enjoy Country View's In-Ground Pool! Brand new 4 bedroom, 3 bath, home on 3/4 acre wooded lot in quiet subdivision. 2x6 lower walls with extra insulation. Open floor plan. Real 3/4 hardwood floors in the kitchen, dining, and living. Granite counter tops in kitchen, custom cabinets, and pantry. Vaulted master bedroom crown molding has a tile shower, jetted tub, and walk-in closet. Gas fireplace in living room. Remarkable Home!!! This beautiful open floor plan 4 bedroom 3 bathroom home still has the new home scent. Built in 2016 and still has room to grow in the unfinished portion of walkout basement.Basement does include 4th bedroom,full bath and and large family room, Kitchen features custom cabinets,large island and a pantry you will love. Main floor Master bedroom has a phenomenal master bath! So much much to offer...come see before it's gone. Vacant move in ready 3 bed, 2.5 bathroom house in Lake Ridge just minutes from Whiteman AFB. New roof 2019. Lots of upgrades, paint, carpets, newer wood flooring, updated appliances. Whole house humidifier and water softener. Raised kitchen is great for entertaining. Double deck with hot tub and large backyard with privacy fence! Basement is split with an unfinished space for storage and Finished basement has good space for media room or second living area. Washer and dryer included. Welcome to the friendly parkside neighborhood of œState Park Village, well-located in Warrensburg school district, but is the shortest 5-minute drive to the front gate of Whiteman AFB. This welcoming 3 bedroom, 3 bath home sits on a HUGE, comfortable corner lot with a privacy fence. The home greets you with vaulted ceilings above, gorgeous wood floors, a homey wood-burning fireplace, & a perfectly open family-friendly layout. Master bedrm offers his-&-hers walk-in closets & private bathrm w/ a jetted tub.